It’s that time of year again; classes are back in session, fall sports are kicking in gear, and those last-ditch Q4 strategies are almost ready to launch so that everyone can take home a nice end-of-year bonus. We know you’re busy and time is passing in the blink of an eye. It’s easy to keep muddling through each day, just going through the motions. One of the best ways to slow down and set yourself up to perform at your best is to check your mindset. Not everyone has the same mindset - that goes without saying. In her book, Mindset: The New Psychology of Success (2006), Carol Dweck shares many of her findings about two distinctive mindsets that fall on opposite ends of a spectrum, Fixed and Growth. In a Fixed Mindset, individuals believe their basic qualities and abilities are fixed; you are either good at something or you’re not. People in this mindset often avoid challenges, see effort as a weakness, take feedback personally, and get discouraged in the face of setbacks. They rather enjoy sticking to what they are “good at” instead of working hard to improve their skills. Think of the student who says, “I’m just not a math person;” this is a typical example of someone in a Fixed Mindset. However, the reality is that there is no such thing as someone who is “not a math person.” This is simply an individual’s perception; they believe that they were born with only a certain amount of ‘math talent’ and they’ve reached that limit, so any further effort is pointless. On the other side of the spectrum, in a Growth Mindset, individuals believe their qualities and abilities can be developed over time through hard work and determination. Here, people believe that practice is the key to mastery. They look for opportunities to challenge themselves because that’s how they learn and improve, they embrace feedback as a useful tool (and often seek it out! ), and they don’t let setbacks get in their way. In this mindset, talent is just the starting point, not the finish line. For great accomplishment and success in sport, business, or academics, it is essential to cultivate a Growth Mindset. Individuals and groups with this mindset tend to be more motivated, empowered, and resilient. So how do you build it? First, develop awareness of your mindset in various situations by approaching them with a new lens. When you’re given a challenge, do you accept or decline? If someone gives you constructive feedback, how do you respond? When a task requires a great deal of effort, how do you proceed? By pausing to recognize whether you hold a Fixed or Growth Mindset in different situations, you’ll learn more about where you typically fall on the spectrum. Next, know that in every situation, you have a choice. Whether you opt to approach a situation with a Growth Mindset or Fixed is entirely up to you, and that choice will then dictate your ability to achieve and perform over time. So, what do you choose? 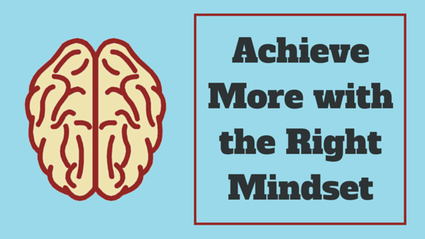 We’ll continue digging into the concept of mindset over the next few posts, so stay tuned! Abby Keenan is a certified mental performance consultant located in Atlanta, GA. She specializes in mentally preparing athletes to perform at their best when it matters most. To work with Abby on your mindset, visit intrepidperformance.com/contact.